The Old Testament was written in Hebrew and the word used has several meanings and so some Bibles call the bird a Cuckoo or Cuckow, some a Gull. For now, we are introducing you to Cuckoos. Did you think Cuckoos only live in Clocks? No, there actually is a bird called a Cuckoo. It belongs to a family Cuculidae – Cuckoos. There are 149 species in the family. Not only Cuckoos, but Coucals, Anis, Couas, and Malkohas are family members. Mangrove Cuckoo (Coccyzus minor). Underparts uniformly rich buff; above grayish brown, crown grayer; ear-coverts black; tail black, outer feathers broadly tipped with white. Range.—Northern South America, north through Central America, Mexico and Greater Antilles (except Porto Rico?) to Florida and Louisiana, migrating south in fall. Maynard Cuckoo (C. m. maynardi). 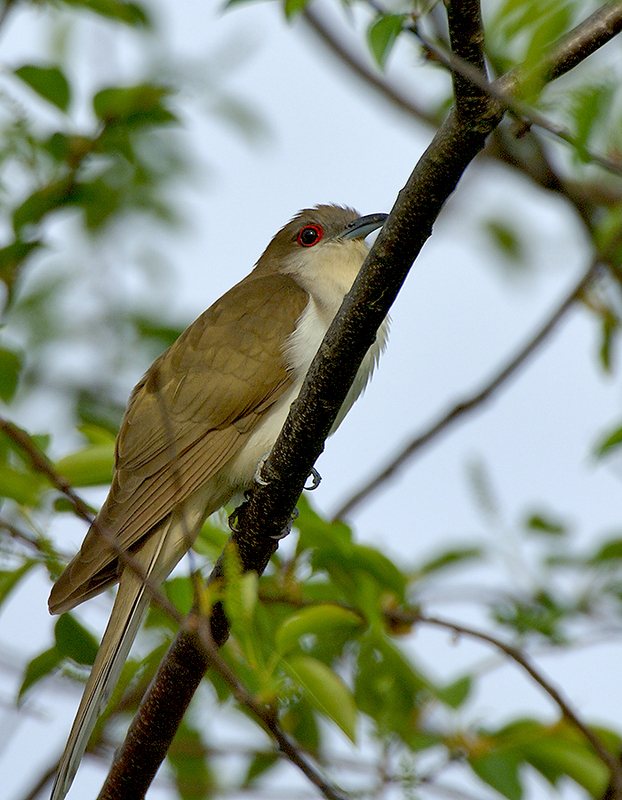 Similar to Mangrove Cuckoo, but underparts paler, the throat and forebreast more or less ashy white. Yellow-billed Cuckoo (Coccyzus americanus). Length 12.2 in. Ads. Below white; lower mandible largely yellow, tail black, outer feathers widely tipped with white. Notes.Tut-tut, tut-tut, tut-tut, tut-tut, cl-uck, cl-uck, cl-uck, cl-uck, cl-uck, cl-uck, cow, cow, cow, cow, cow, cow, usually given in part. Range.—Eastern North America; breeds from Florida to New Brunswick and Minnesota; winters in Central and South America. California Cuckoo (C. a. occidentalis). 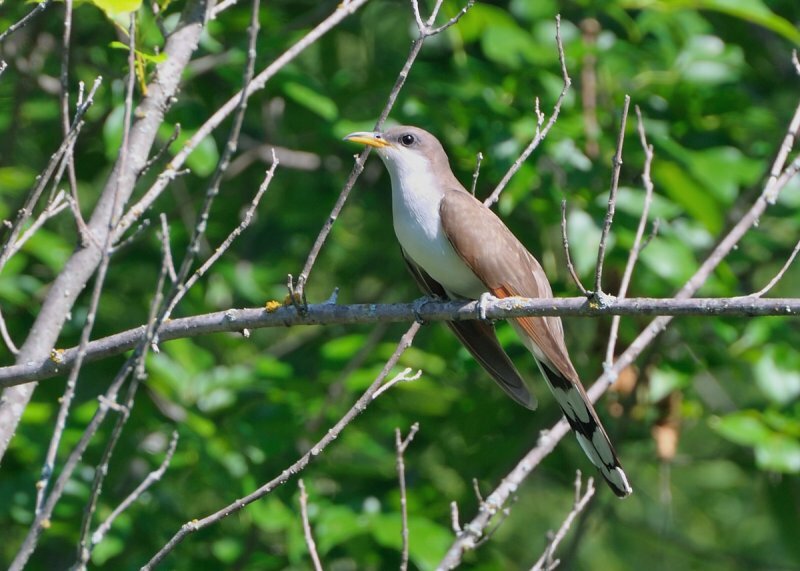 Similar to Yellow-billed Cuckoo but somewhat grayer and larger; the bill slightly longer, 1.05 in. Range.—Western North America; north to southern British Columbia; east to Western Texas; winters south into Mexico. Black-billed Cuckoo (Coccyzus erythrophthalmus). Length 11.8. Ads. 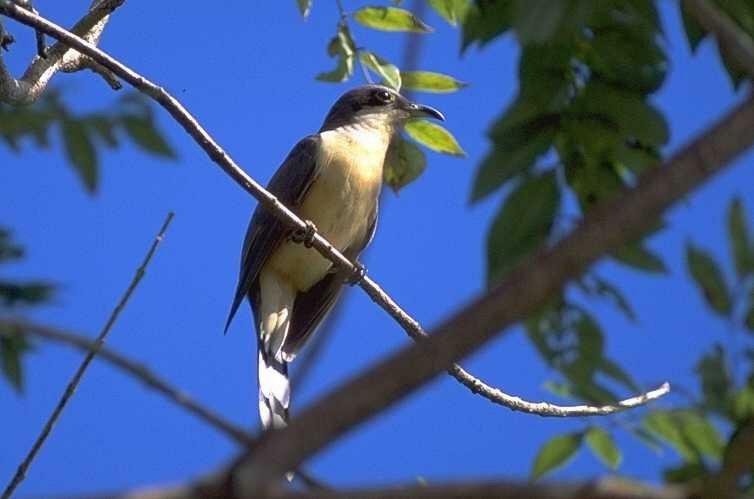 White below; bill black; tail, seen from below, grayish narrowly tipped with white; above, especially on crown, browner than Yellow-billed Cuckoo. Notes. 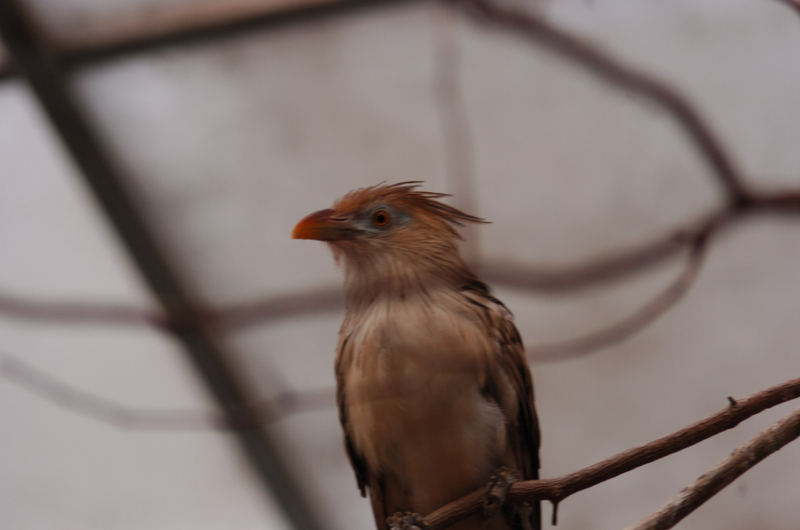 Similar to those of Yellow-billed Cuckoo, but softer, the cow notes connected. Range.—Eastern North America; west to Rocky Mountains; breeds north to Labrador and Manitoba; winters south of United States to Brazil. We will tell you more about the Cuckoo in the next Bible Birds – Cuckoo article. This entry was posted in Bible Birds, Export to Leesbird, Kid's Section and tagged Bible, Birds, Birdwatching, Christian, Cuckoo, Home School, Kids, Nature, Photography, Youth. Bookmark the permalink. I like your new “look”! Thanks, I appreciate you letting me know.